Winnie Mandela did a lot of good in the fight against apartheid, but some of her actions, were unforgiveable. The killing of Stompie Moeketsi is a stain on her memory. Despite the controversy that surrounded after Nelson Mandella's release, South Africa has lost a Mother today. RIP Ms. Winnie Mandela. 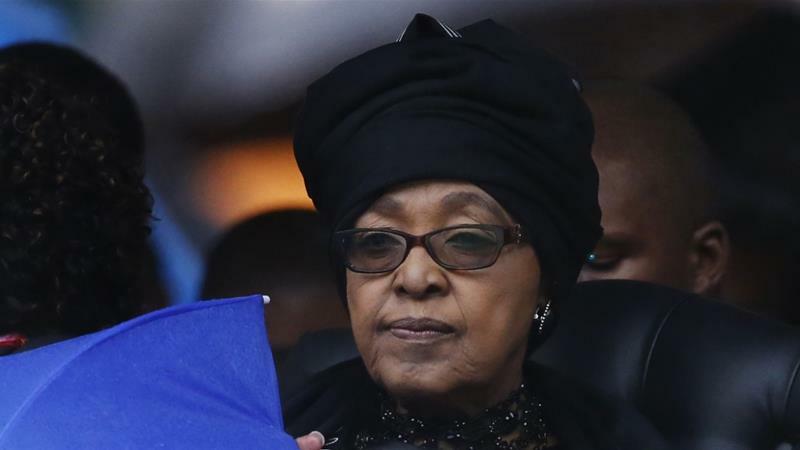 If Winnie Mandela is known as the 'mother of South Africa' that explains a lot. This lady tortured her own people to death in the most horrific ways. Ah. So touching. BBC mourning the passing of vile terrorist supporting racist Winnie Mandela. Hell has one more resident. She remained throughout her life a tireless advocate for the dispossessed and the marginalized. She was a voice for the voiceless. The fact that whites still hate her, it means Mama Winnie Mandela did not sellout. 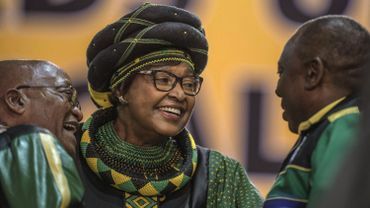 Winnie Mandela was the symbol of resistance in the darkest days of Apartheid. She was committed to Freedom to All and A better Life for All. She believed in BLACK PEOPLE! I’m disappointed but not surprised to see how many racists have come out of their holes to reply and laugh at our tweets while we mourn Winnie Mandela’s death. Know this, racists, #WinnieMadikizelaMandela’s legacy will continue! Empowering black people will continue! My anti-apartheid activist mother Adelaine was often alone, showing solidarity, in the whites-only section of the public gallery. Once, when my younger sisters went with her, dressed in their primary school uniforms, Winnie bent down and kissed them, to the very evident horror and disgust of the onlooking white policemen, who spat and cursed. The very notion of a black woman behaving that way towards two blonde girls offended every apartheid instinct. But Winnie didn’t care. She was indomitably defiant. Later, suffering so much and bringing up her own two girls while Nelson Mandela served his 27 years in prison, she was beaten up, banned, then banished to remote Brandfort in the Orange Free State, harassed and imprisoned too. Winnie Mandela was the epitome of evil. We live in a country that treats FW De Klerk better than Winnie Mandela. Least we forget how Desmond Tutu denounced Winnie Mandela over Stompie's murder.